This report on “IPO PROCEEDING OF GRAMEENPHONE” aims to give an idea about the IPO and the overall capital market of Bangladesh. The company has so far invested more than BDT 10,700 crore (USD 1.6 billion) to build the network infrastructure since its inception in 1997. It has invested over BDT 3,100 crore (USD 450 million) during the first three quarters of 2007 while BDT 2,100 crore (USD 310 million) was invested in 2006 alone. Grameenphone is also one the largest taxpayers in the country, having contributed nearly BDT 7000 crore in direct and indirect taxes to the Government Exchequer over the years. Of this amount, over BDT 2000 crore was paid in 2006 alone. Grameenphone was also the first operator to introduce the pre-paid service in September 1999. It established the first 24-hour Call Center, introduced value-added services such as VMS, SMS, fax and data transmission services, international roaming service, WAP, SMS-based push-pull services, EDGE, personal ring back tone and many other products and services. Telecom services used to be provided exclusively by Bangladesh. Communication is one of the basic physical infrastructures for economic development and plays a vital role in stimulating economic growth and improving the quality of life. Telecommunication reduces the need for traveling and thus save both time and money. Timely weather forecasting including the forecasting of natural calamities like cyclones, floods, etc. saves valuable lives and properties and helps in agricultural and other development. As I had appeared in BBA final semester I had to prepare a report of any project which will be regarded as Intern Report for the fall 2009 semester. I had been assigned to complete my report on IPO proceeding of Grameenphone. It is a great opportunity for me to work on this report. The objective of the study is to get an on-the-job experience to practical job world and an opportunity for translation of theoretical concept into real life situation. I tried my best to use this opportunity to enrich my knowledge on the telecommunication and IPO. I have taken this opportunity to apply my knowledge which I have learned from my theoretical classes.  To present an overview of Capital Market. 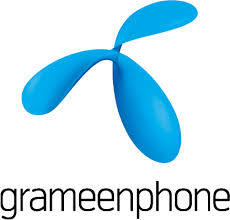  To present the IPO of Grameenphone.  To identify the limitations of workings.  To present the Pre-Public Offer for receives strong support. The methodology of this study includes research design, data collection method. It was an exploratory study. So methodology of this study I have worked on Grameenphone Capital Market for IPO. For more clarification I have discussed with faculty of the university.  Limited access to the needed data or other materials.  Lack of knowledge and depth of understanding might hinder me to produce an absolute authentic and meaningful report.  The comparison may be proper because of lack of knowledge.  Lack of available information. Grameen Telecom Corporation, which owns 38% of the shares of GrameenPhone, is a not-for-profit company and works in close collaboration with Grameen Bank. The internationally reputed bank for the poor, has the most extensive rural banking network and expertise in microfinance. It understands the economic needs of the rural population, in particular the women from the poorest households. The tariff from a Grameenphone connection to any operator has also been reduced to Tk. 1 per minute, between 12 am and 8 am. The special night time offer for Grameenphone subscribers has also been extended by an hour from 12 am-7am to 12 am-8 am. The tariff for the night time offer and on Grameenphone F&F (Friends & Family) numbers has also been set at 49 paisa per minute. F&F rates are applicable 24 hours a day. Grameenphone Ltd. has reduced its tariff to 49 paisa per minute during day time, effective 22 March 2009. The day-time tariff is offered from 12 pm to 4 pm. All Grameenphone subscribers can now enjoy this lowest tariff to call any Grameenphone subscriber. The 49 paisa per minute day-time tariff was initially offered as a promotion through February and March this year and now it has been converted into a permanent offer. With this adjustment in tariff rates, Grameenphone has consolidated its portfolio, ensuring an easier and balanced tariff structure and better service quality for its subscribers. It should be noted that tariff rates in Bangladesh are already one of the lowest in the world. Grameenphone, with over 20 million subscribers, has the largest network covering almost 100% of the population and land area. The Grameenphone network is fully EDGE/GPRS enabled, allowing internet access from anywhere in the country. Grameenphone’s Board of Directors had earlier approved a proposal for an IPO of its shares, subject to necessary approvals and market conditions. The price for the IPO has been proposed at BDT 7.00, subject to SEC approval. Grameenphone Ltd. has filed its final application for an initial public offering (IPO) of US$65 million (BDT 449 crore) with the Securities and Exchange Commission (SEC) today (December 11, 2008). The final prospectus was handed over by Grameenphone CEO Oddver Hesjedal to SEC Chairman Faruq Ahmad Siddiqi. SEC Executive Director Farhad Ahmed, Grameenphone Board Members Dipal Barua from Grameen Telecom, Per Erik Hyland from Telenor and Grameenphone CFO Arif Al Islam were also present on the occasion. Grameenphone Ltd. has also successfully closed the marketing of a pre-IPO private placement of its shares amounting to US$60 million (BDT 413 crore) to local institutional investors on December 4, 2008. The pre-IPO placement offer was over-subscribed by three times due to strong support from more than 50 local institutional investors. In the pre-IPO offer, the company raised a total of USD 60 million at BDT 7.4 per share, which was increased from earlier size due to the strong demand. “We are proud of our achievement in having reached this milestone. We remain committed to contributing to the development of the capital markets of Bangladesh and look forward to a successful completion of the largest IPO in the country” said Oddvar Hesjedal, CEO of Grameenphone. Citigroup Global Markets Bangladesh Private Ltd. acted as the placement agent for the pre-IPO placement and has been appointed as the Issue manager for the IPO. On November 11, 2008, following the submission of its preliminary Initial Public Offer (IPO) application to Securities and Exchange Commission, Grameenphone launched the marketing of the Pre-Public Offer (PPO) of its shares to local institutional investors. This three-week long event, which concluded on December 3, 2008, included an informal “price discovery” process between BDT 7-9 per share and gave local institutional investors an opportunity to bid for their desired amount within this marketed range. Commenting on the strong response received from over 50 local institutional investors to the Pre-Public Offer, Grameenphone CEO, Oddvar Hesjedal said, “We are humbled by the response received from institutional investors to participate in the Pre-Public Offer of our shares. We remain committed to serve each and every one of our existing and new shareholders to the best of our abilities to maximize their shareholder value”. On November 30, 2008, based on the conclusion from the “price discovery” process, the Board of Directors of Grameenphone, approved the final Price, Size and Allocation of Pre-Public Offer (PPO) and Initial Public Offer (IPO) of its shares, subject to necessary approvals and market conditions. The total issue size is expected to be up to USD 125 million for PPO and IPO combined. In the Pre-Public Offer, the company will raise up to a total of USD 60 million at BDT 7.4 per share, which was increased from earlier size due to strong demand. The allocation of shares in the PPO will be distributed in three tranches, namely to institutional investors, Grameenphone employees and Grameen Bank borrowers. Grameenphone also intends to complete all formalities with the Securities and Exchange Commission for their Initial Public Offering at BDT 7.00 per share (a 5.4% discount to the Pre-Public offering). The Grameenphone Pre-Public Offer was over-subscribed by three times due to strong support from more than 50 local institutional investors. Grameenphone’s Board of Directors approved the proposal for an IPO of its shares on November 10, 2008, subject to necessary approvals and market conditions. Grameenphone also intends to conduct a pre-public offer (PPO) of its shares with expected gross proceeds of up to US$50 million prior to the IPO. However the final size will depend on the demand coming from the investors and also the result of ongoing dialog with Government on the eligibility of the tax incentive. “The shareholders of Grameenphone remain committed to the IPO, to develop the Bangladesh capital market and to share Grameenphone’s success with its future shareholders,” said the Grameenphone CEO Oddvar Hesjedal. Grameenphone Ltd. has resubmitted its preliminary application for an Initial Public Offering (IPO) of its shares with expected gross proceeds of up to US$75 million with the Securities and Exchange Commission of Bangladesh on November 11, 2008. Earlier on September 24, 2008, Grameenphone had formally extended the transaction timetable in light of the challenging global financial market conditions and PPO investor’s time requirement for their internal decision making. Grameenphone will be issuing 425 bonds, denominated in BDT 10 million each. The bonds will be issued in two tranches, one with a 540 day term and the other with a 720 day term. All the bonds will carry an interest rate of 14.5% per annum. The bonds will be unsecured and non-convertible. The bonds will not be listed in any of the bourses but a free transferability structure will mean the instruments can easily be bought and sold over the counter. Grameenphone Ltd. today signed agreements with ten institutions for raising BDT 4,250 million from the local capital market through issuance of coupon bearing bonds on a private placement basis. The bonds are the first of their kind in the Bangladesh capital market. Grameenphone and the bonds have both been rated as “AAA” by the Credit Rating Agency of Bangladesh (CRAB), which is the highest credit rating given by CRAB. Citibank N.A. Bangladesh is the Arranger and Placement Agent for the transaction. Grameenphone has taken the initiative to look beyond the conventional bank loan structure and into the capital market in the form of issuing a debt instrument to meet its funding needs. Grameenphone will invest the proceeds of the bonds in capital expenditure to improve the infrastructure of the company and will also use the proceeds to prepay a portion of the company’s short term debt. In addition to raising capital, the move will help reduce the liquidity risk and better match the asset liability maturity profile of the company. “Grameenphone is proud to be able to contribute to a meaningful development of the Bangladesh capital market by introducing new debt instruments and creating more awareness in the domestic market,” said Grameenphone CEO Anders Jensen. “We remain committed to our joint collaboration and our priority remains the continued success of Grameenphone as the benchmark corporate in Bangladesh,” said Dipal C. Barua, Deputy Managing Director of Grameen Bank and a Board member of Grameenphone, and Per-Erik Hylland, Senior Vice President of Telenor and also a Board member of GP, in a joint statement. Both the shareholders of Grameenphone, Telenor and Grameen Telecom, in a joint statement today have reiterated their continued commitment to the success of Grameenphone and to the ongoing IPO process. “Our commitment also extends to our stated objective of ensuring the seamless execution of the Grameenphone IPO by 2008 and in meaningfully contributing to the development of Bangladesh capital market and its positive profiling across the globe,” they added in the joint statement. Grameenphone recently formalized its intention to list its shares in the Bangladesh capital market through the filing of an IPO application with the Securities and Exchange Commission of Bangladesh. The proposed transaction structure includes a pre-public offer to global and local institutional investors followed by a public offer to the retail investors of Bangladesh. A formal application for the IPO with expected gross proceeds of up to US$150 million and subsequent listing on the Dhaka Stock Exchange and the Chittagong Stock Exchange is expected to be filed with the Securities and Exchange Commission of Bangladesh and other concerned authorities by the end of July 2008. Grameenphone also intends to conduct a pre-public offer of its shares with expected gross proceeds of up to US$150 million prior to the IPO. Grameenphone Board of Directors, at a meeting held on July 21, 2008, has approved a proposal for floating an initial public offering (IPO) of its shares, subject to necessary approvals and market conditions. Citigroup Global Markets Bangladesh Private Limited has been appointed as the Global Coordinator, Issue Manager [and Lead Underwriter] for the IPO. Grameenphone, 62 percent-owned by Norway’s Telenor, it aimed to raise up to $150 million with a pre-IPO share placement and another $150 million through the initial public offering itself. Couple months back, proposed regarding Grameenphone’s $300 million IPO and concluded that instead of investments in Bangladesh, this money would leave first-class to Norway. GP and others have covered every nook of Bangladesh and they aren’t interested in upgrading to 3G anytime soon when barely no one uses the internet, or talks with a smart phone or really knows how to operate a smart phone. This is meant in a broader sense so don’t be insulted if you fall in this category -which you probably do. Recently Telenor bought 60% of Unicom Wireless for a staggering $1.07 billion. This is more astonishing considering Unicom only paid $337 million for the India-wide mobile license earlier this year. Initial estimates are that they have to spend an additional $3 billion in the next three years to compete in a market that already has Virgin, Vodafone, Reliance, Tata and Airtel. Telenor investors didn’t really digest this news really well, and the Stock tanked 26%. So Telenor needs $1.07 billion fast. I wrote couple months back that $300 million of the Bangladeshi IPO would be used for not-in-Bangladesh ventures. Since that was delayed to March 2009, a new Bangladeshi bond project worth $60 million in the works. Newspapers did not connect the dots, but it’s safe to assume that the $60 million will be used to finance the Indian venture and not any Bangladeshi projects. Furthermore this $60 million bond is to be offered to private institutional investors. The same investors that Grameenphone decided to eliminate and provoke with GP’s weird mobile-phone banking proposal. But then again Bangladeshis are highly skeptical of anything that involves India. Now its a double whammy -India and Grameenphone. But $60 million from Bangladesh isn’t going to cut it even if it is successful. Telenor is planning yet another IPO (or share sale to be specific) only this time in Norway and only this time they ‘plan’ to raise $1.78 billion from the Norwegian market in the midst of their stock taking a dive and the entire world also taking a dive. It wouldn’t surprise me if Telenor decided to hold multiple IPOs worldwide and slash the targets as time passes. So at last we can see from our analysis that, with market share of 47 percent, Grameenphone is expected to draw plenty of investor interest. Still, its operating profit fell 89 percent in the second quarter to 40 million crowns ($7.76 million), due to one-time items and a drop in average revenue per user to 19 crowns ($3.69) a month from 30 crowns a year earlier, according to Telenor’s second-quarter results report. But now a day, GrameenPhone, Bangladesh, delays its IPO plans led by economic breakdown globally. Anders Jensen, CEO GrameenPhone, says that the telco has postponed the pre-IPO process due to hesitancy among international investors, and now expects the shares to be floated in February 2009. The operator had earlier sought to raise $300Mn half through a private placement and half via a subsequent domestic IPO. But now the Bangladeshi operator plans to raise $50Mn in the pre-IPO sale, subjected to an rise if demand exceeds expectations, and $75Mn in an IPO on the Dhaka and Chittagong stock exchanges. Although the company would not disclose any details about the prospectus, sources indicate that Grameenphone plans to sell the shares at BDT 18, including a premium of BDT 17. The proceeds of the IPO will be used for the company’s network development programme. Grameenphone also submitted a plan to the SEC to seek approval to raise an additional USD 150 million through private placements. Citigroup Global Markets Bangladesh is the issue manager of Grameenphone’s IPO. According to reports earlier this year, Grameenphone hopes to list by the end of September this year.